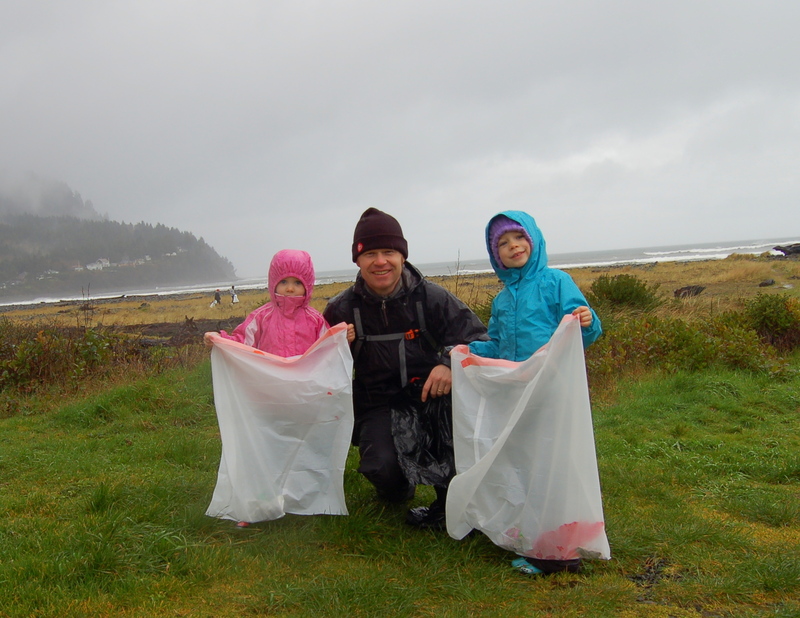 Mike and the girls participated in this year’s SOLV Spring Oregon Beach Clean Up. It was pouring down rain but that’s just a fun excuse to put our rain gear to good use, right? Lots of people showed up, everyone picked up tons of garbage and the girls came home soaked but happy to participate. And guess what? The sun came out as soon as everyone got home – a well-earned thank you from the Sun himself! We appreciate being a part of a community that cares so much about our environment. I feel challenged to become more aware of my surroundings and am inspired to do my part in honoring this beautiful location we live in. I won’t just wait for the SOLV Clean Up event but will start practicing good stewardship every time we walk to the beach. A garbage bag is something I should carry around with me all the time.